Join us in the kitchen for an evening of food and fun at The Chef’s Table! In these intimate, interactive dinner events, you’ll gather round the table in the Napa Valley Vintner’s Theater and watch our chefs work their magic as you learn great tips and techniques along the way. Ask the chef questions, relax with friends, and enjoy delicious food and beverage pairings in an up-close-and-personal venue. You won’t leave hungry! 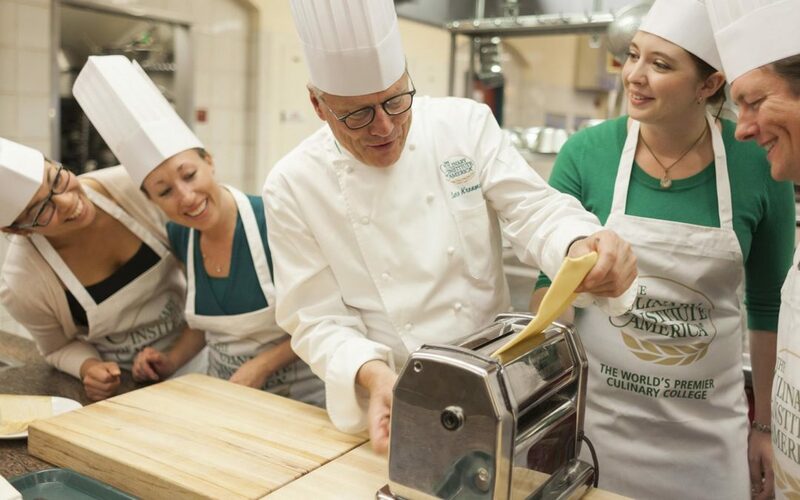 Class instruction will include making dough, rolling and cutting techniques, and cooking and saucing your pasta. Register now, before this unique event sells out!